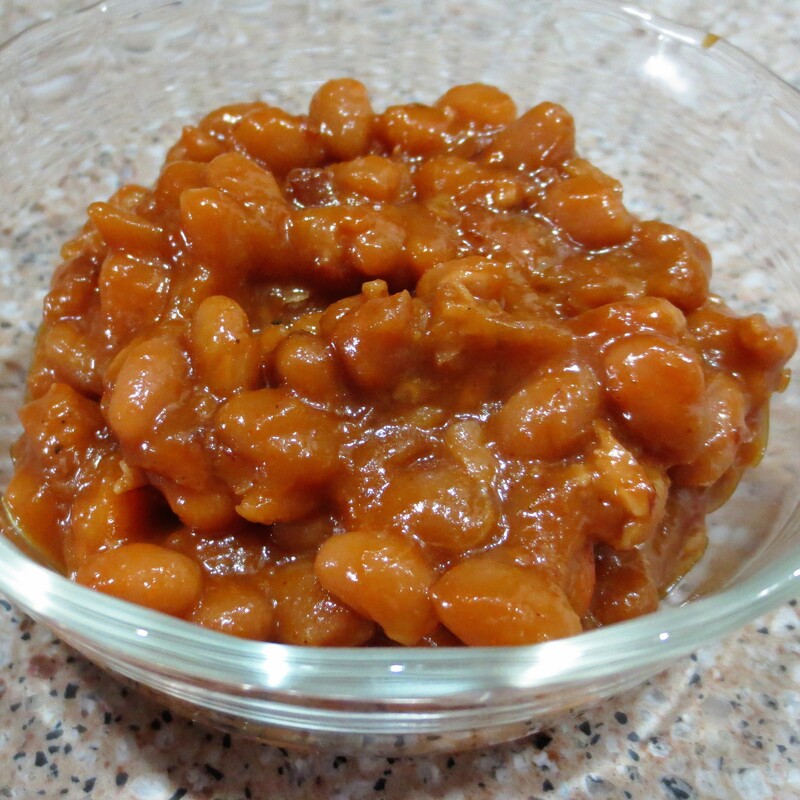 Baked bean flavor without the oven, ready in less than an hour. 1. The day before, rinse and drain the navy beans. Cover with water in a large pot, and let soak over night. Rinse and drain again. If you don’t have time to start the day before, or simply forget, follow this alternative method: Rinse and drain the beans. In a large pot, cover by 2 inches with water and bring to a boil. Remove from heat, and let stand covered for 1 1/2 hours. Or, if you have even less time, for each cup of beans, add them to the cooker with 4 cups of water and 1 tsp. salt. Pressure cook for 4 minutes. Let stand unopened 10 minutes, then carefully vent, drain, and rinse. 3. Add all remaining ingredients, except beans and broth or water, stirring into the onions to combine. 4. Drain the beans, and transfer to the pressure cooker. Add the onion mixture and stir in the broth or water. Cover, make sure the release valve is closed, and select the stew option. Cook 30 minutes. Release the steam and check to make sure the beans are as tender as you like and the sauce is nicely thickened. You may choose to “stew” a little longer if you want the beans more tender or “cook” a little longer with the lid off if you want to thicken the sauce. If the sauce is too thick for your liking add a little water. Choose the “keep warm” setting if it’s not yet time to eat.